Siasto embodies the future of collaboration. Life is too short to spend it tracking down assignments, files, and emails. Siasto allows you to organize your workflow into projects, so everything that's related sticks together. Each project has its own tasks, files, calendar, and discussions. Create new projects based on your own custom templates. Mark finished projects as "complete", or create ongoing projects that never end. Gone are the days of wading through an ocean of email just to find out what's happening. Siasto was designed from the ground up to help you connect with your teammates, so you'll always know what everybody's doing. Control exactly who has access to each project. 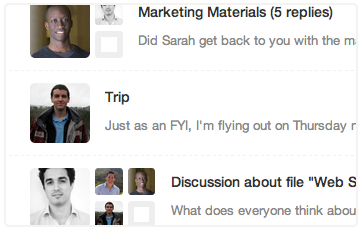 Invite people from outside your team to collaborate as guests. Comment on tasks and files to create discussions. Assign tasks and share files with your teammates. Connect with what you know. The world's a better place when we all work together. Siasto's powerful integrations let you connect with the tools you already know and love, so you can enjoy frictionless collaboration that just works. 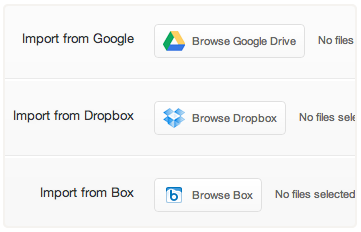 Import and share files from Box, Dropbox, and Google Drive. Add tasks, events, and files to your projects directly from Gmail. Sync your project calendars with Google Calendar. Built from the ground up to leverage the power of cloud computing, Siasto is a 21st century work and collaboration tool that allows your business or enterprise to seamlessly share: data, files, documents, tasks, and projects; all while giving you and your team 360 visibility of what’s going on in your organization, right now. Innovative real-time technologies keep all members of workspace’s up-to-date and on time. Reducing work duplication, and time spent searching for documents and files, all your sensitive information is stored securely in the cloud for easy access; wherever, whenever. Persistent back-up and fall-back data recovery, Siasto offers secure external access across the firewall, lower Total Cost of Ownership than on-premise competitors and is available on mobile devices. At 10% of competitor costs (Microsoft Sharepoint), Siasto offers an affordable way to move your content management and collaboration into the cloud. No more install and deployment, you can be up-and-running in minutes! Siasto provides an extranet, where files can be easily shared externally with customers, partners, and suppliers and customized accordingly. Customers get full visibility of each and every stage of their projects and managing permissions is simple. Relevant people, inside and outside your organization, can access all files relating to a project in a secure online environment. desktops or hidden in their inboxes by storing centrally in Siasto. Manage work, tasks, and projects efﬁciently by having related documents and timelines at your ﬁngertips. With Siasto, you can track project deadlines and milestones, view late, upcoming and completed tasks and reassign them to team members if necessary. 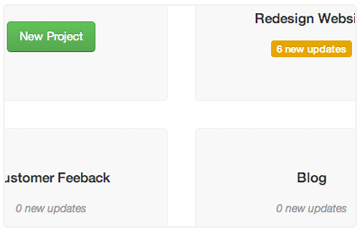 Use tasks to track bugs and documents to plan features for each of your projects. Impress your clients. Siasto makes it easy to keep everyone on the same page. Never lose track. Keep all your ideas, mockups, and images organized by project. Track candidates and stay in touch, so you're ready when they roll off of a job. Siasto plugs directly into Gmail - convert emails into tasks, documents, and events. Share files, assign tasks, and schedule events. Ask about our student discount! Keep your team on task. Delegate tasks, so you always know who's responsible for what. Keep your schedule, goals, tasks, and records in one place.